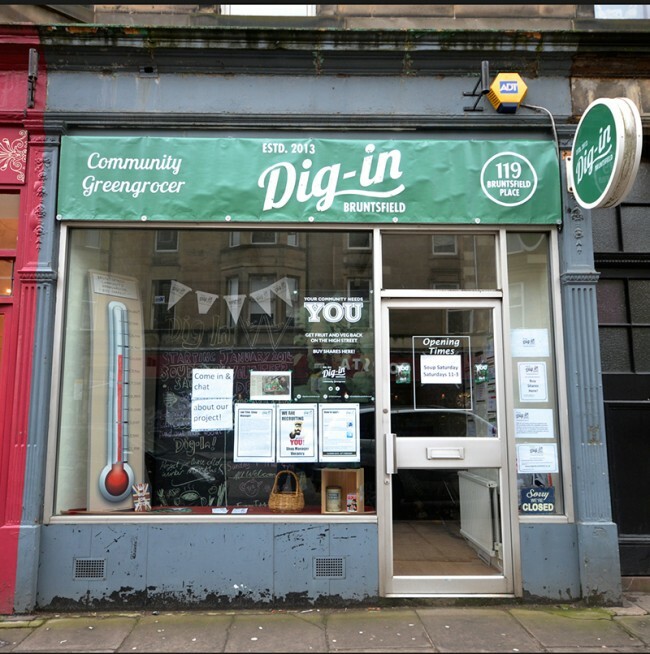 Like most Saturday’s, we are open tomorrow for free soup and a chat so shoppers can come in and learn more about Dig-In. That’s not all we’re doing though. 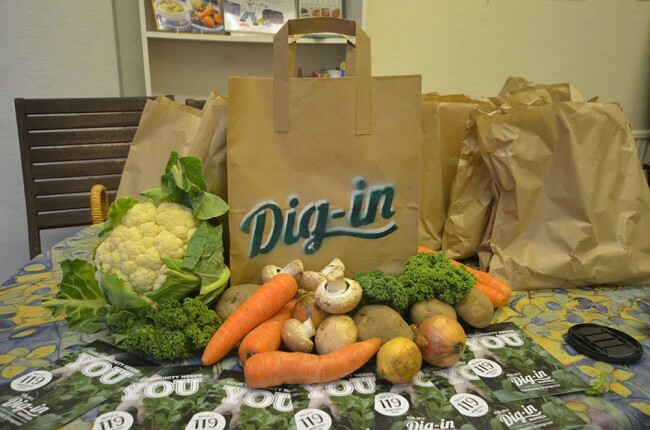 You may have noticed that the lovely veg bags that were made and sold a couple of weeks ago had our logo on them. Instead of spending any money to make them, we put our heads together and got creative to brand up our carriers. 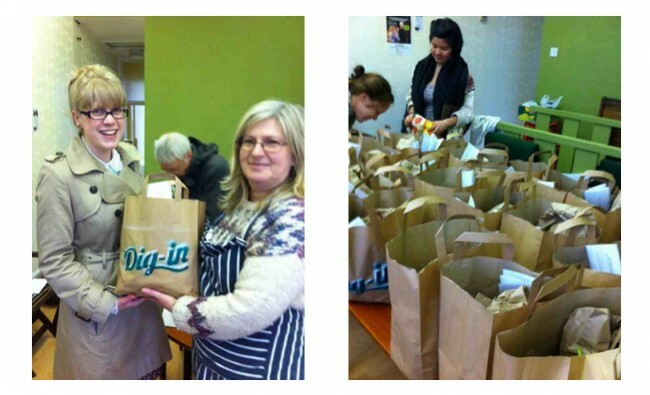 We used left over materials donated by one of our volunteers, made a stencil and sprayed it on the bags. It was a bit of trial and error but judging by the reaction to the bags, definitely worth it. 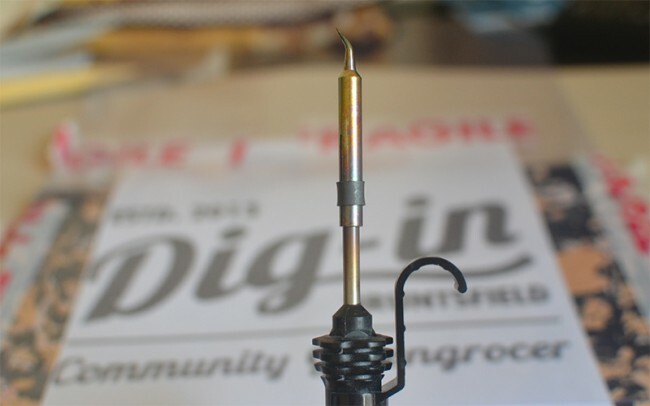 This Saturday marks a monumental moment for Dig-In – we’re selling our very first vegetables!